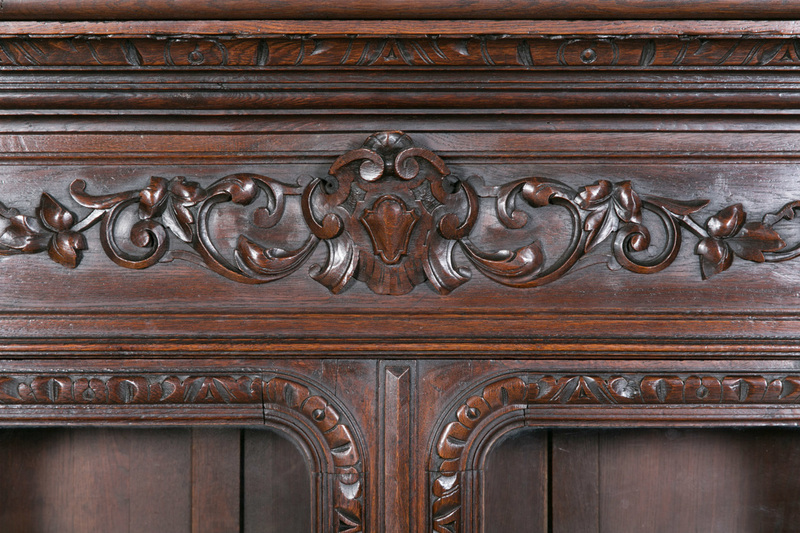 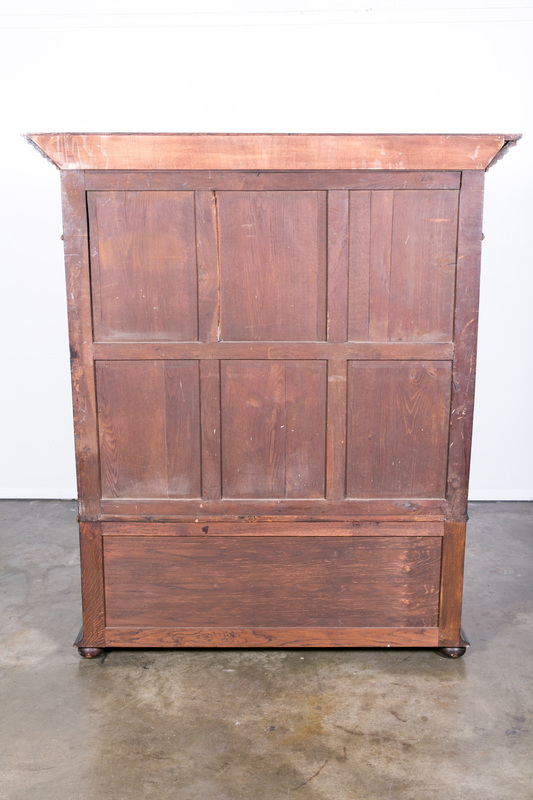 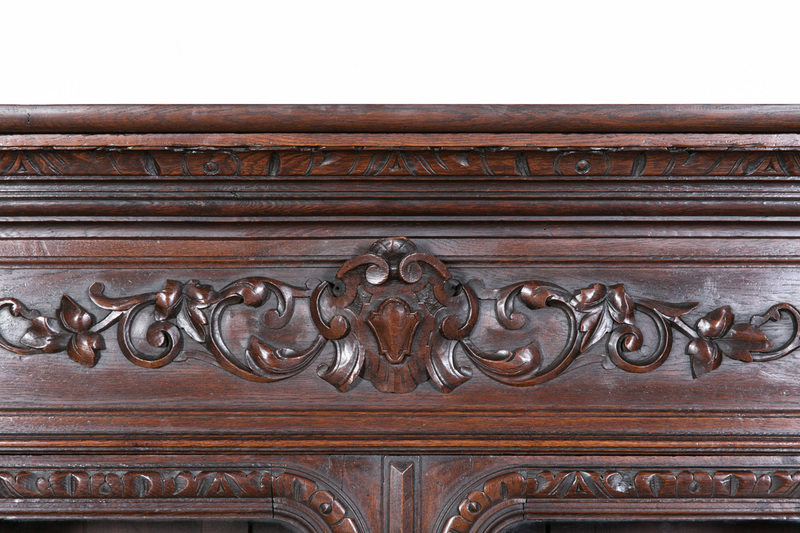 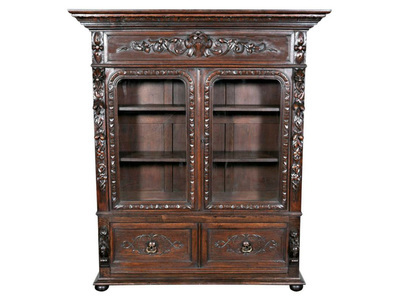 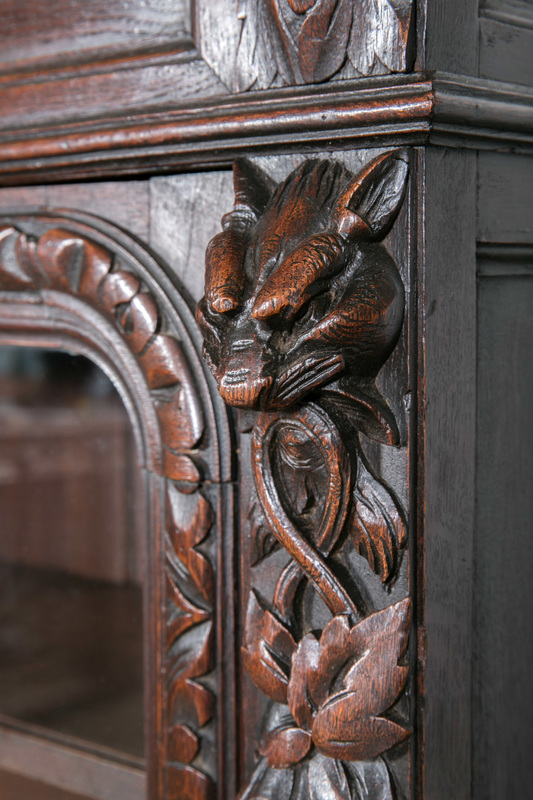 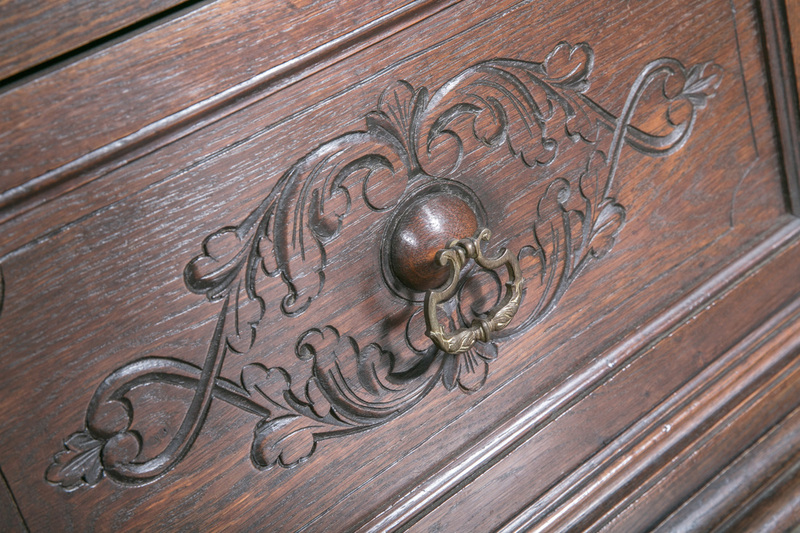 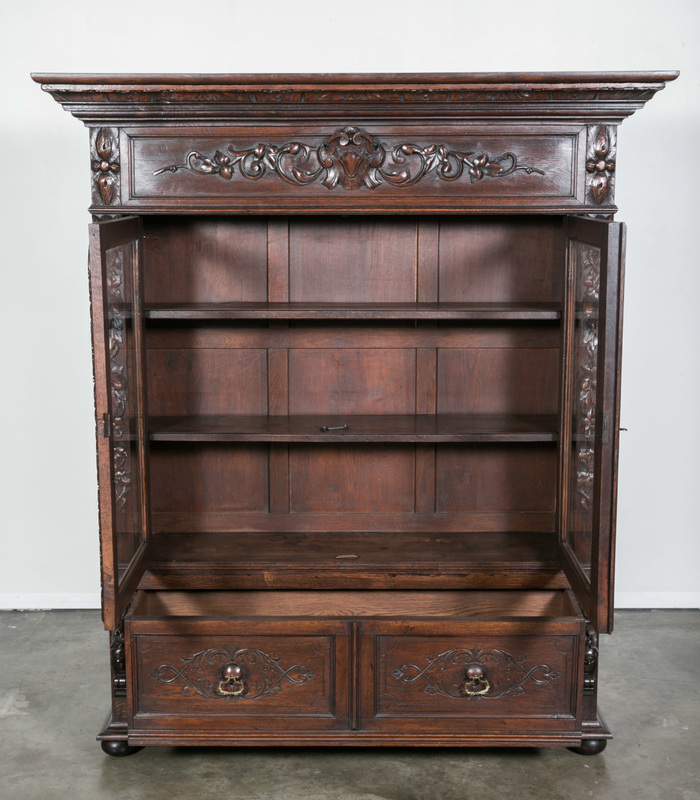 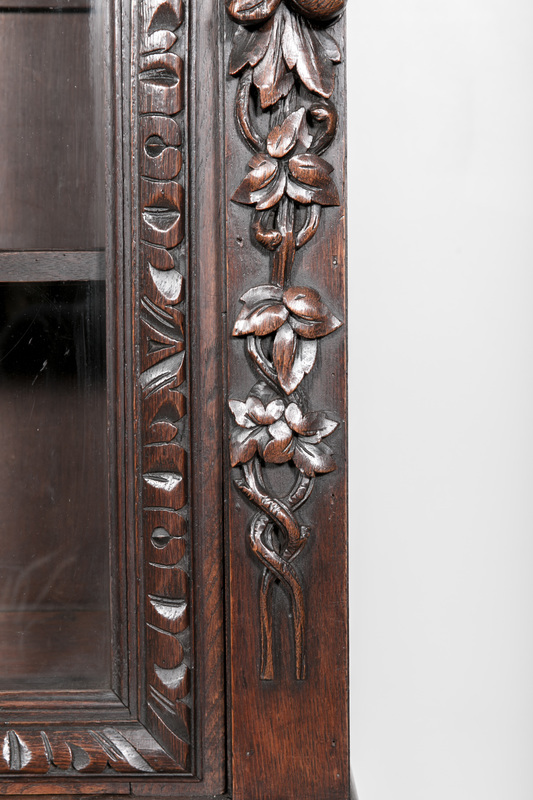 ﻿﻿Intricately carved 19th century Renaissance style low bookcase rendered from select oak by skilled artisans from the Brittany region. 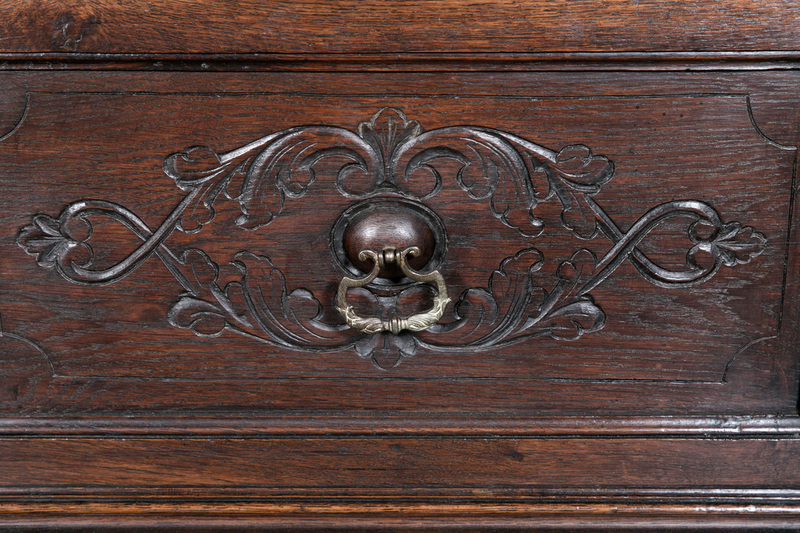 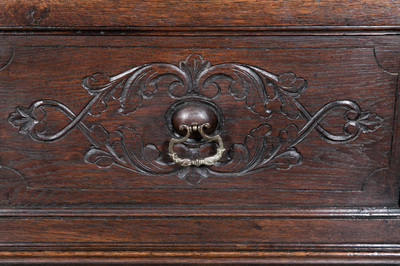 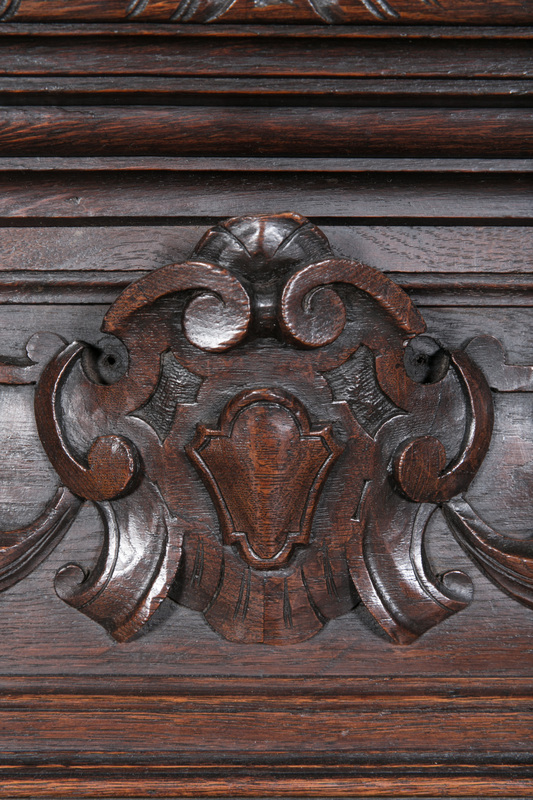 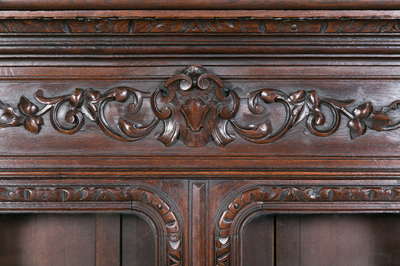 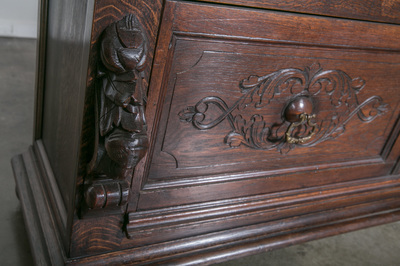 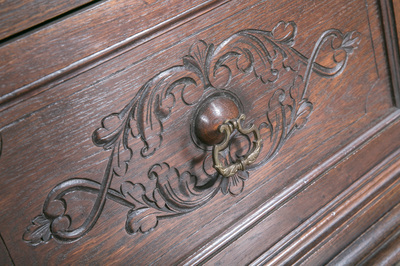 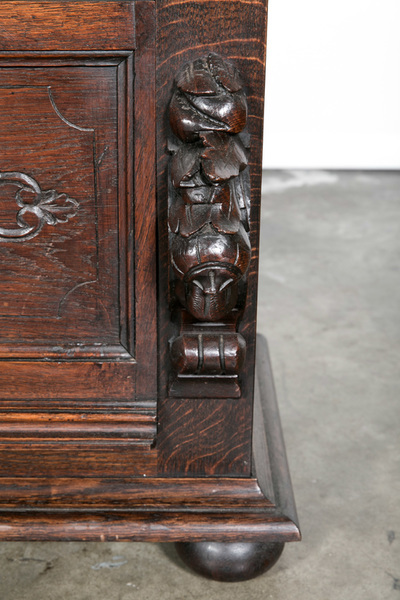 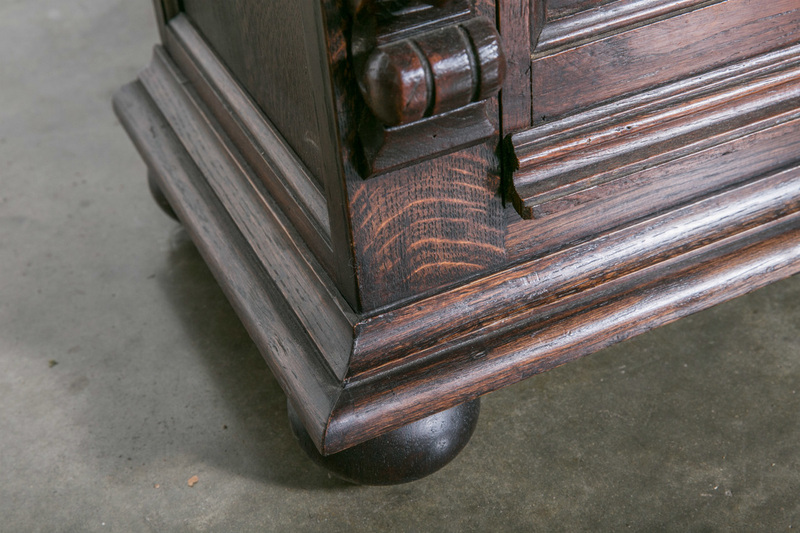 Stepped crown atop a carved frieze over original three-quarter glass doors with single drawer below, raised on bun feet. 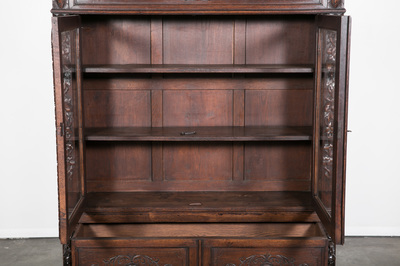 Interior with two fitted, adjustable shelves. 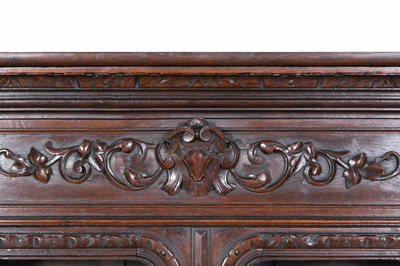 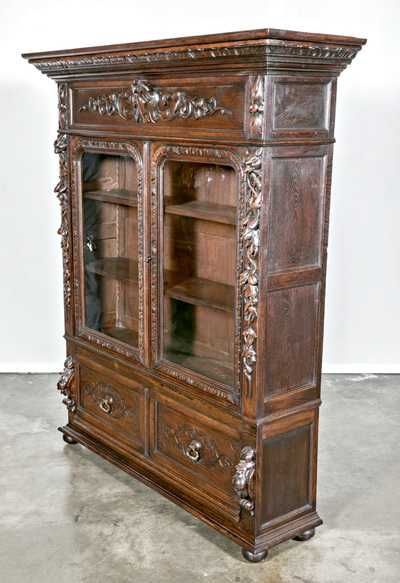 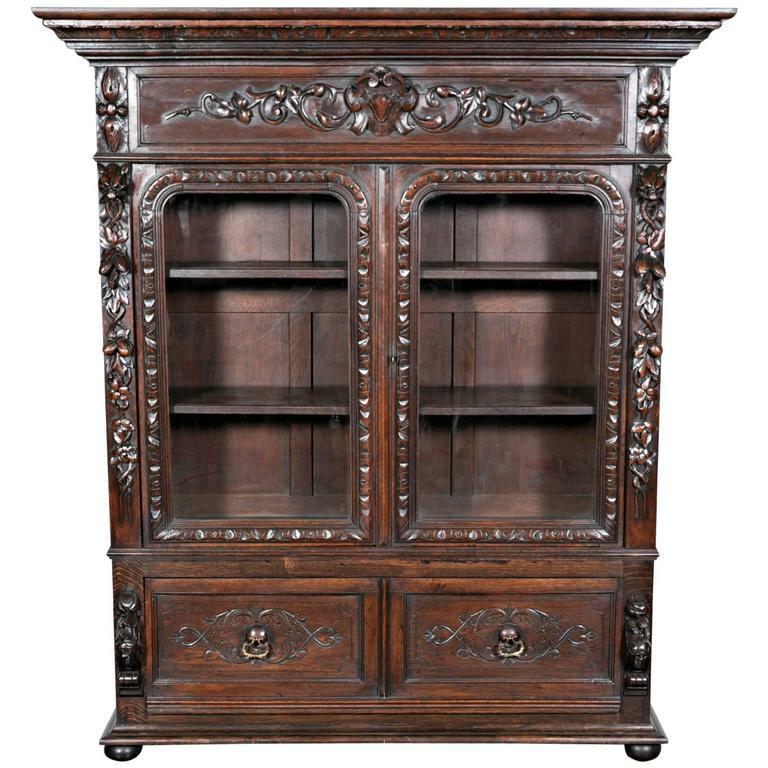 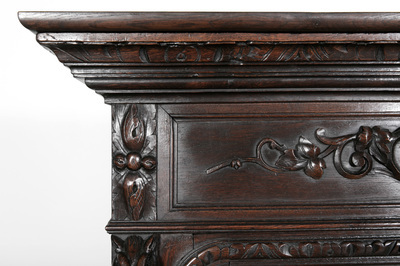 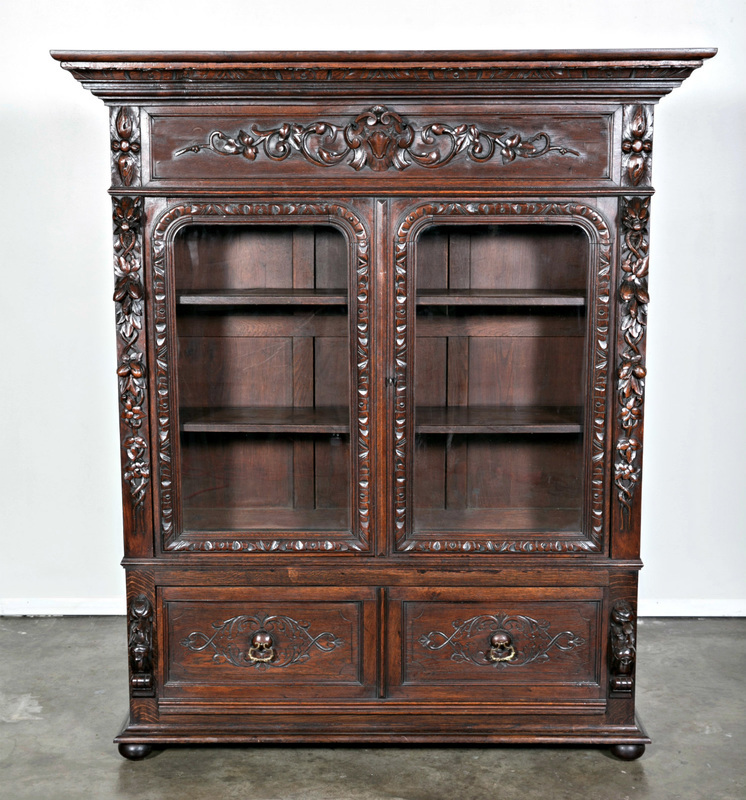 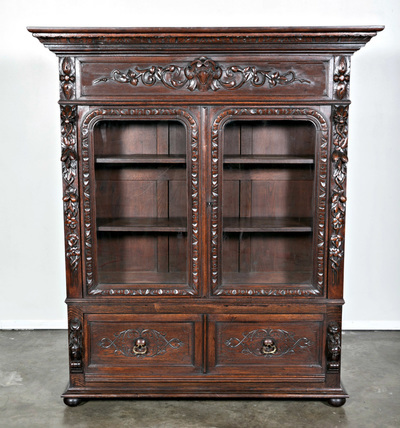 This bookcase features very well-articulated carvings in high relief of vines, acanthus leaves, ribbon swags and griffin heads that speak of a higher standard of craftsmanship that existed for those in the affluent class of mid-19th century Europe. Only the affluent could afford an education and books, which were very expensive at the time, as well as a home grand enough for such a bookcase. 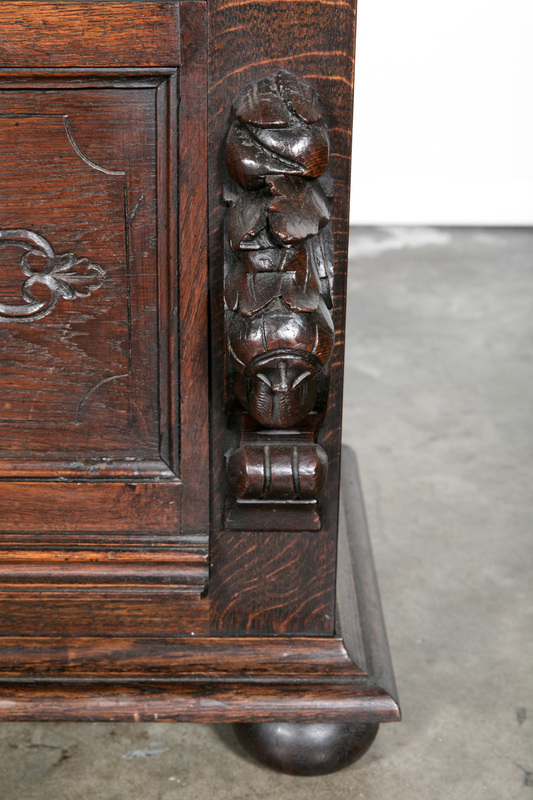 Crown is not removable. 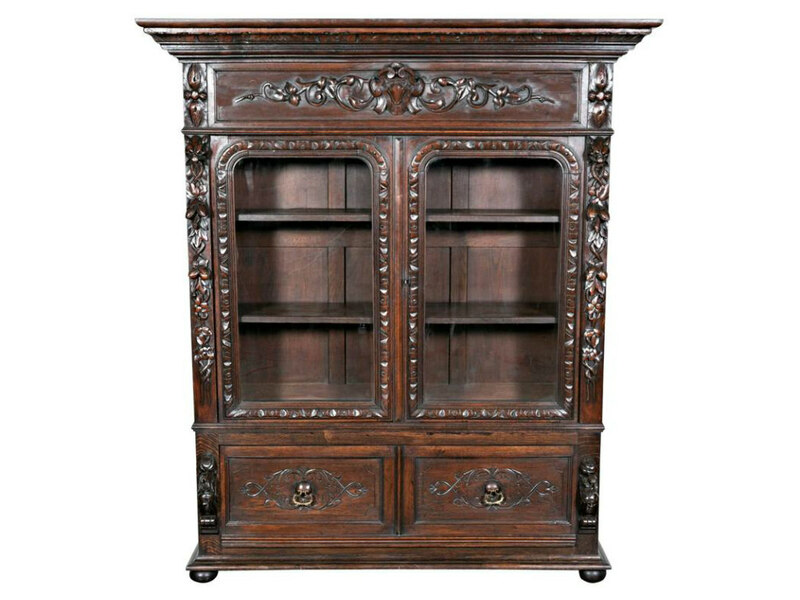 w - 59.5" with crown; body w - 51.5"
d - 16.5" with crown; body d - 14"